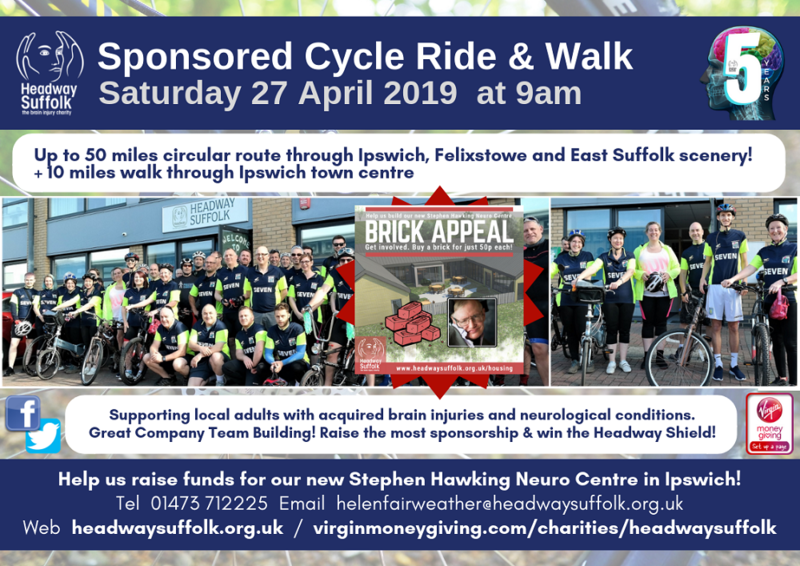 Please support our events to help us raise funds for our new Professor Stephen Hawking Neuro Centre in Ipswich in the fifth anniversary year of Headway Suffolk – find out more on our housing page. Are you and your family and friends budding quizzers? Join us for a night of general knowledge and a social gathering with clients, volunteers, staff, families, and friends. It costs £10 per person, with teams of up to 4. Includes cold buffet and refreshments. 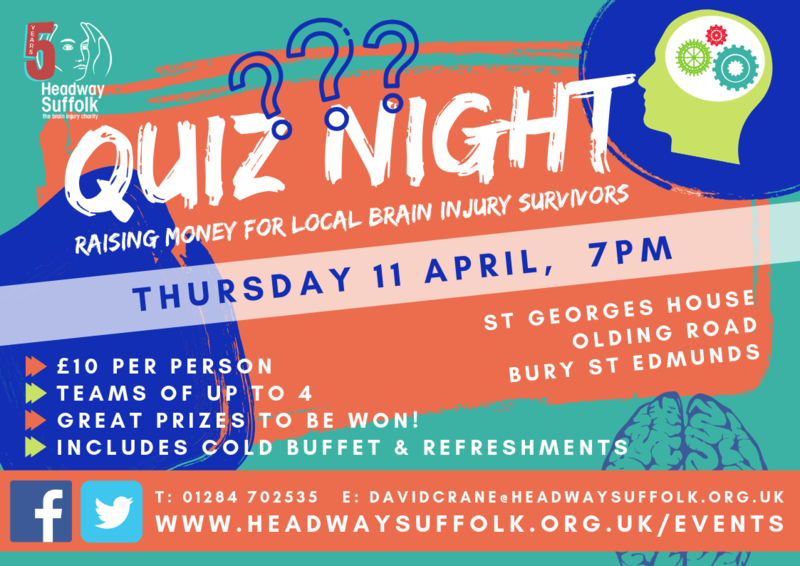 Contact David on 01284 702535 or email: davidcrane@headwaysuffolk.org.uk. 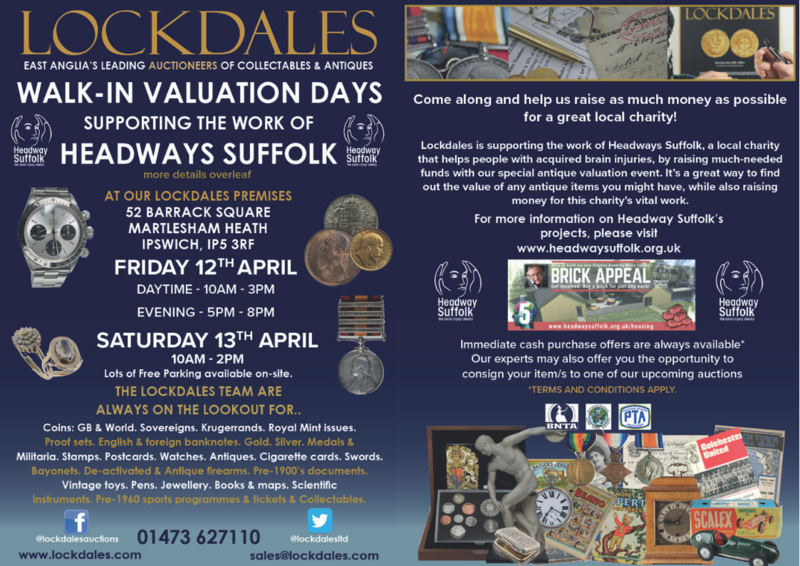 Lockdales are East Anglia’s leading auctioneers of collectables and antiques and in 2019 they are generously supporting the work of Headway Suffolk. They are hosting two walk-in valuation days at their premises in Martlesham Health with plenty of free parking. Come along and find out the value of your coins, stamps, watches, antiques, vintage toys, books and so much more! Find out more by calling Lockdales on 01473 627110 or visit www.lockdales.com. 30, 40 and 50 miles circular Cycle ride routes around Ipswich, Leavenheath, Felixstowe and Martlesham and a 10-mile walk. A week of awareness raising during national Action for Brain Injury Week – find out more from Headway UK here. 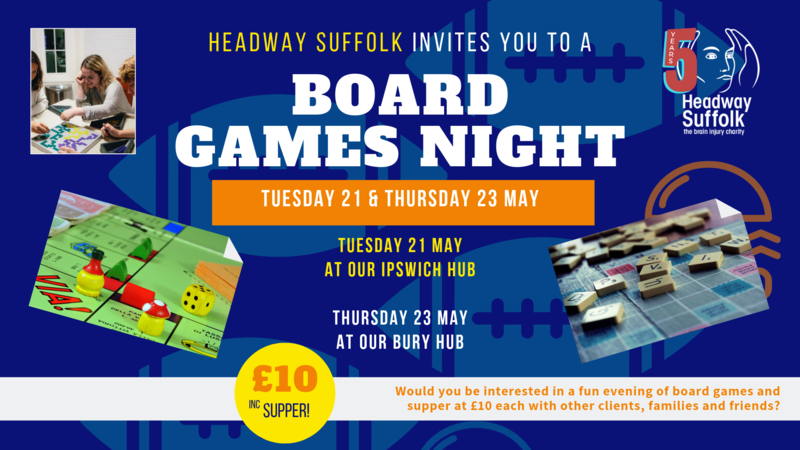 Would you and your family and friends be interested in a Board Games Night? Join us for these two fun and social evenings that everyone can take part in, and it will stimulate your brain too! Cost is £10 per person, which includes supper. 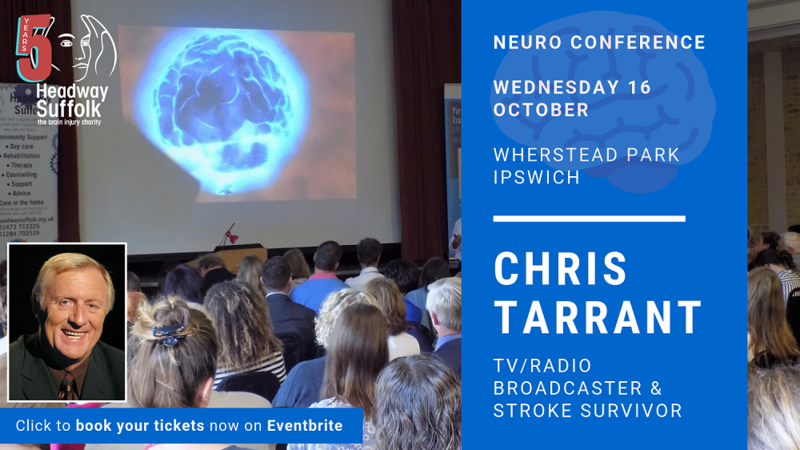 Please contact us on 01473 712225 or 01284 702535 to let us know if you are interested in coming along. 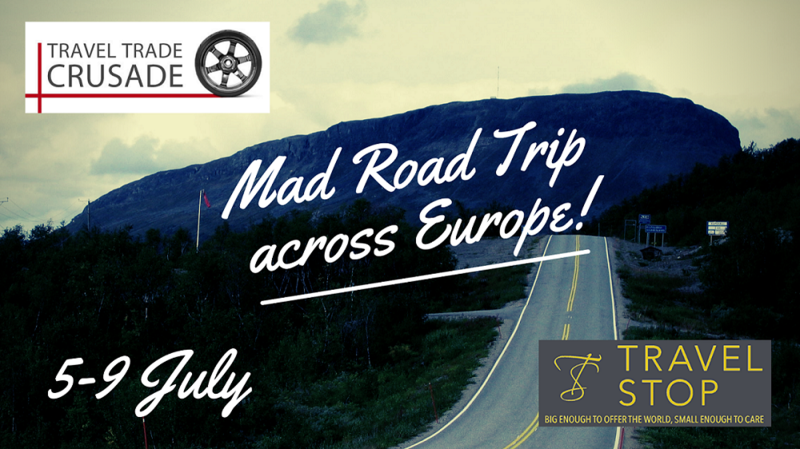 Bridget from Travel Stop takes part in this mad road trip across Europe in several countries in three days to raise money for Headway Suffolk.